Hell is my natural habitat. The whirl and jangle of fleshless death and its percussive marrow is magically mirrored by Alex North’s musical merriment. He had fun with this one. 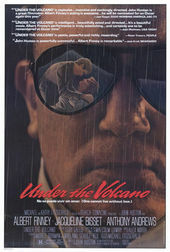 Interestingly, it was actor/filmmaker Danny Huston, John Huston’s son, who directed the title sequence to his father’s film Under the Volcano. The laughter and dance of this parade of souls seems a credible wink to this life's wait. Gripping imagery consisting of… chiariscuro in the style of Goya. 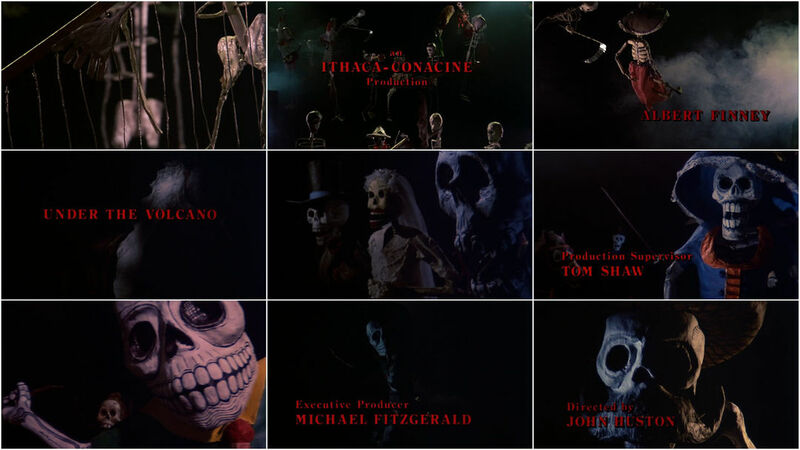 [Director of Photography Gabriel] Figueroa… would use color to create, from the early images of Firmin’s [played by Albert Finney] nocturnal wanderings, an allegorical universe that mixes death (sugar-candy skulls and bones, laughing masks) and celebration (garish lanterns, garlands)... a night peopled by wild illusions… suffocating qualities… [the] poetic frenzy of an alcoholic. One of the DVD audio commentaries features Danny Huston. As it happens, he was bringing his father rum and cokes (“The coke should only slightly color the rum.”) when his father introduced him to the Steadicam and asked him to direct the opening sequence!